Amazon.com description: Product Description: This edited collection comprises foundational texts and new contributions that revisit the theory of the ÃÂ«audience commodityÃÂ» as first articulated by Dallas Smythe. 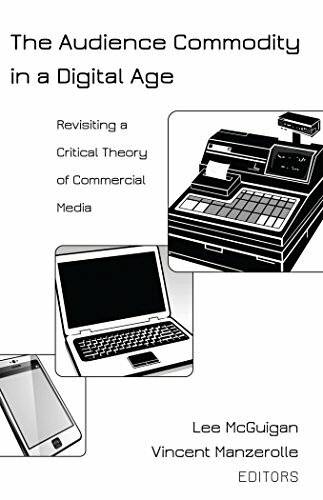 Contributors focus on the historical and theoretical importance of this theory to critical studies of media/communication, culture, society, economics, and technology Ã¢ÂÂ a theory that has underpinned critical media studies for more than three decades, but has yet to be compiled in a single edited collection. The primary objective is to appraise its relevance in relation to changes in media and communication since the time of SmytheÃ¢ÂÂs writing, principally addressing the rise of digital, online, and mobile media. In addition to updating this perspective, contributors confront the topic critically in order to test its limits. Contextualizing theories of the audience commodity within an intellectual history, they consider their enduring relationship to the field of media/communication studies as well as the important legacy of Dallas Smythe. About: This edited collection comprises foundational texts and new contributions that revisit the theory of the «audience commodity» as first articulated by Dallas Smythe. About: This edited collection comprises foundational texts and new contributions that revisit the theory of the Â«audience commodityÂ» as first articulated by Dallas Smythe.